Go green and help your school at the same time! 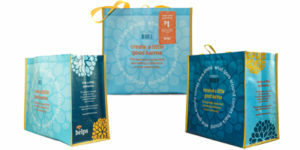 In the month of April, every blue Hannaford Helps reusable bag that is purchased at its Columbia Turnpike location will result in a $2 donation to the East Greenbush Education Foundation. The reusable bags cost $2.29.